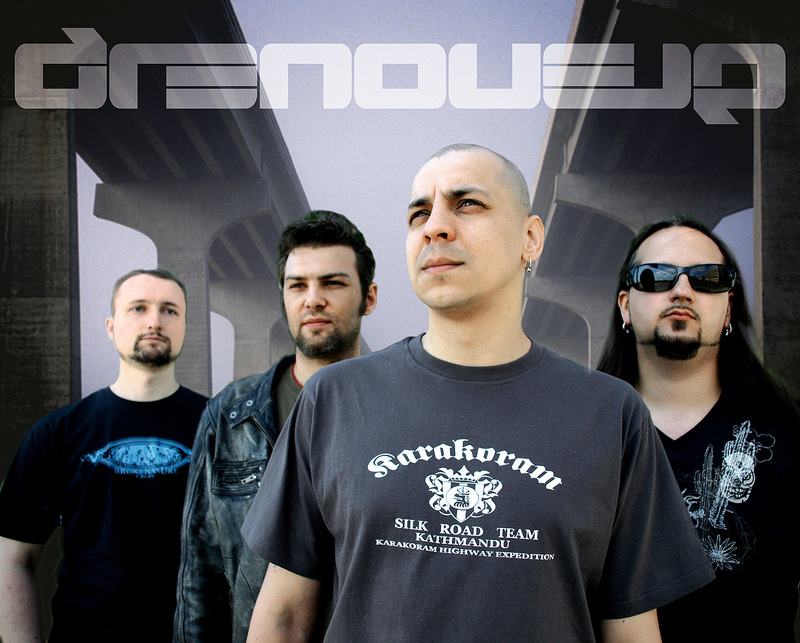 GRENOUER currently is one of a few Russian extreme metal bands that are recognized worldwide. The band has released six full length albums, toured extensively in Russia and abroad, participated in big open air festivals and cooperated with noted sound producers. GRENOUER started in the first half of 90�s in Perm city as a complete underground act performing mid tempo death metal, came through line up changes and crash development and finally obtained recognition by fans. In the beginning of 2000�s GRENOUER relocated to Saint Petersburg and at the same time began to update music, changing death metal for death�n�roll groove and further on for more sophisticated modern metal comparable to Meshuggah, Sadist or A Life Once Lost. GRENOUER�s albums got positive reviews in press like Kerrang!, Metal Hammer, Rock Sound, Hard Rock, etc. GRENOUER played together with many famous bands such as All Shall Perish, Anathema, Behemoth, Cephalic Carnage, Cradle of Filth, Despised Icon, Entombed, Gloomy Grim, Hate, Malignant Tumour, Neurosis, Novembre, Pain, Primordial, Pro Pain, Psychotic Despair, Soilwork, Swallow the Sun, Sworn Enemy, The Berzerker, Textures, Testament, Tiamat, Trail of Tears, Warbringer and many more. Songs of the bands appeared on CD compilations (Fear Candy, RAMP, Adrenaline Rush, Cop-Off, Slot Fest, Winter Session, RA, Ru Zone, Iron March, 30 Covers of A-Ha, A Tribute to Godflesh etc.) and were air-played by various radio shows; videos could also bee seen on MTV2 and A One.